Got cabin fever? It&apos;s a widespread malady that plagues millions of people every winter when the weather prevents us from doing much of anything other than staring at the walls of our own homes. 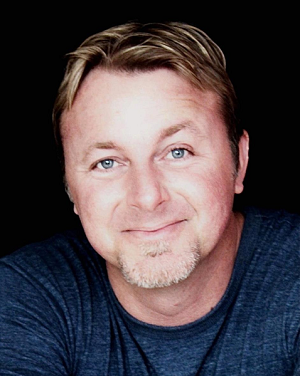 If you&apos;re suffering from cabin fever, the Royal Theater in Danville has a cure for you on Feb. 5 when nationally-renowned Hoosier comedians Dave Dugan and Todd McComas visit Hendricks County as part of Dugan&apos;s Cabin Fever Comedy Tour. But that isn&apos;t the only comedy event coming to the county this week. Laugh Out Loud, an event supporting Sheltering Wings and featuring &apos;The Funniest Man in America&apos; James Gregory, arrives Feb. 7 at the Duke Energy Event Center at Metropolis. Fans of the Bob and Tom Show will likely recognize Carmel native Dave Dugan&apos;s name -- or at least his voice. Over the course of more than 20 years, Dugan has made somewhere in the neighborhood of 200 appearances on the popular radio show. He has also been on HBO, FOX, VH1 and Comedy Central and narrated programs on ESPN and The History Channel. Dugan has a hilarious style of delivering comedic perspectives on everyday life and occurrences. Joining Dugan is another Hoosier funny man, Todd McComas, who was raised by hillbillies in Shelby County, yet somehow managed to find a way to raise a child, burn through two marriages and develop a successful career as a comedian. He uses all of those past personal experiences for his comedy act as well as his current challenges in navigating today&apos;s dating scene. He, like Dugan, has appeared on the Bob and Tom Show and made other national appearances. You can see Dugan and McComas perform live at 7:30 p.m. Feb. 5 at the Royal Theater in Danville. Tickets are $12, and you can purchase them online in advance by visiting the Royal Theater&apos;s website. James Gregory describes his humor as a wry sense of the absurd. Like Dugan and McComas, Gregory is also a Bob and Tom Show alum. He also has performed on many other syndicated radio shows across the country as well as on TNT&apos;s Liars and Legends. He relies on personal experiences, crazy relatives and other situations that everyone can identify with for his humor. You can see Gregory perform during this fund-raiser for Sheltering Wings, a local domestic abuse shelter, at 5:30 p.m. Feb. 7 at the Duke Energy Event Center at Metropolis Mall, 2499 Futura Parkway, Plainfield. Cost is $100 a person and includes dinner. Seating is limited and reservations are required by calling (317) 386-5062.